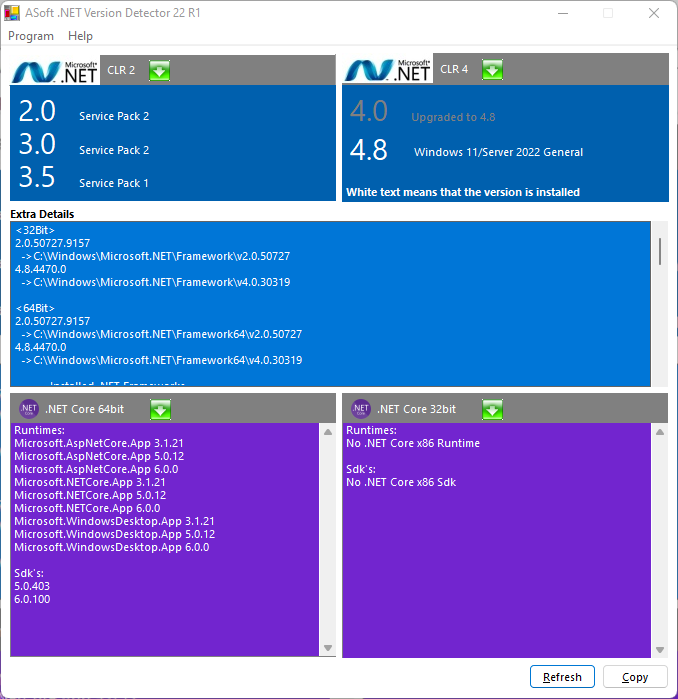 Easily detect the installed versions of Microsoft .NET on your machine! Url's to the .NET frameworks and SDK's are included at the click of a button. Reports can be written to text file and xml file so that a summary can be made and can be run from commandline. Easily distribute this 1 executable (dotnet.exe) with your application. Permission to do so must be given by ASoft; just mail us for approval. ASoft Office Version Detector now makes it easy for you to get the installed version of Microsoft Office on your machine(s). It shows the Version, Edition, Service Pack, Platform and all installed applications! And the information is easily exportable.